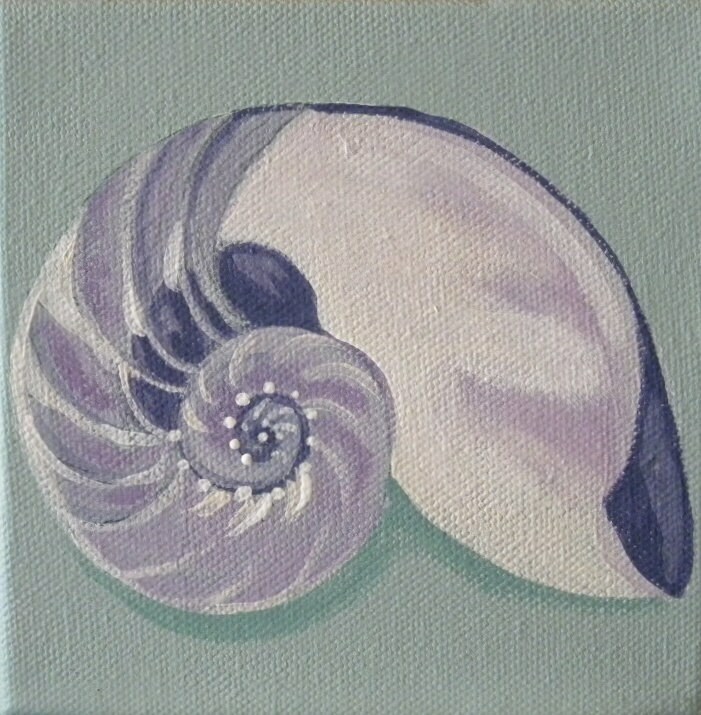 This beautiful shell inspired me to come right home and paint it! I love the deep purples, and of course the spiral which means "never ending." And it has glitter! yay!